If there are any two platforms that belong together it’s read-it-later service Pocket and Amazon’s Kindle e-reader or app. If you want to connect the two, you can not only do that but can also automate the process. With P2K, you can choose from a weekly, daily, or one-time digest. You can choose the exact time the digest will be delivered, and how many articles it will include. You can choose from one to 20 of the newest or oldest articles; enough articles to keep you reading for 15 to 120 minutes; or one to 20 random articles. You can also choose to archive the articles that are delivered. 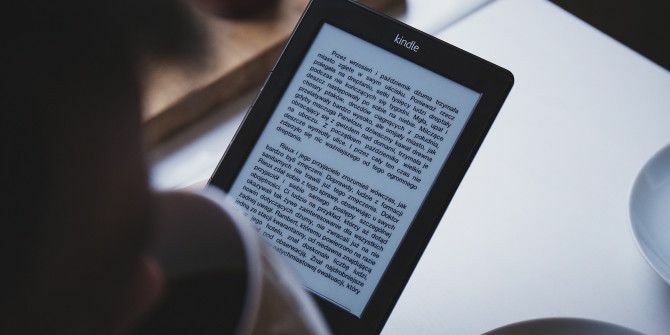 In order to create that connection between P2K and your Kindle account, you will need to provide the Kindle email address necessary to deliver the articles. This email address can be found on your Kindle settings page under the “Send-to-Kindle E-Mail Settings” heading. You will also need to add the address delivery@p2k.co to the “Approved Personal Document E-mail List”, which can be found on the same settings page. Once that’s done, you should begin to see Pocket articles on your Kindle or in the Kindle app based on your chosen schedule. If you already use IFTTT, you could automatically send Pocket articles to your Kindle Supercharge Your Pocket Experience With These IFTTT Recipes Supercharge Your Pocket Experience With These IFTTT Recipes Between the two of them, Pocket and IFTTT are excellent services that do their part in making their users more productive. Pocket gives users a one-stop shop to access all of the content - articles,... Read More but it does require a somewhat roundabout method in which you’ll have to also sign up for an Instapaper account. Do you use Pocket with your Kindle? Let us know your preferred method to create a connection between the two platforms in the comments below. Explore more about: Amazon Kindle, Pocket. Apparently you need to have the premium version of pocket to use this feature.